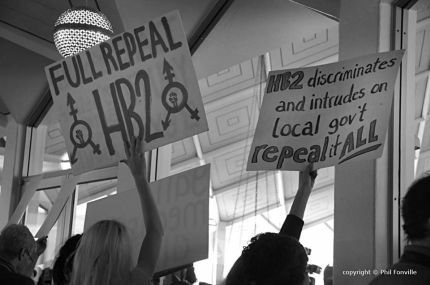 In a strange and remarkable replay of the controversial one-day special legislative session that took place one year ago last week, the North Carolina General Assembly passed legislation today in a matter of hours that purports to repeal HB2 – the state’s infamous LGBTQ discrimination law. Surprisingly, the proposal also appears to have the backing of Governor Roy Cooper, who issued a terse statement of support last night. Under the terms of the new legislation, which was only formally made public for the first time this morning in a hastily organized meeting of the Senate Rules Committee, the state law established by HB2 is officially repealed. The new bill, however, also goes on to make three additional changes to state statutes that equality and civil rights advocates and other observers quickly and loudly condemned as a betrayal. Section 2 of the bill specifies that the General Assembly explicitly preempts the field of regulating access to multiple occupancy restrooms, showers and changing facilities. What this means is that local governments and other public entities (like the university system) are specifically barred from enacting transgender equity ordinance and rules without the legislature’s approval. As a practical matter, this provision reiterates and reinstates one of the central prohibitions of HB2. Section 3 of the bill makes clear that no local governmental body in the state can “enact or amend any ordinance regulating private employment practices or regulating private accommodations.” Section 4 of the bill then goes on to make clear that Section 3 will remain in effect until December 1, 2020. What these latter two sections appear to mean in tandem is that there is a moratorium for the next three years and eight months on any local government passing any ordinance that provides protection to LGBTQ people when it comes to private employment or public accommodations. As a result, LGBTQ people in North Carolina can still be fired or denied service by private actors because of who they are and no local government can do anything about it until the end of the year 2020. Though the bill (House Bill 142) removes the HB2 provision that mandated that people only use restroom facilities that match their birth certificates and apparently received the blessing of some business and sports interests that had previously removed their events and investments from the state, it provoked passionate opposition from a wide array of equality and civil rights advocates, activists, observers and editorialists. “Legislators and Gov. Roy Cooper hailed Thursday’s HB2 repeal bill as a compromise. In fact, it is nothing of the kind. It is a betrayal of the promises the governor made to the LGBT community and a doubling down on discrimination by Republican legislators who have backed it all along. House Bill 142 literally does not one thing to protect the LGBT community and locks in HB2’s most basic and offensive provision. It repeals HB2 in name only and will not satisfy any business or organization that is truly intolerant of an anti-gay environment and of a state that codifies discrimination. “The so-called ‘deal’ was disgracefully rammed through the legislature today following secret backroom negotiations on Wednesday. News of the fake repeal was met with a huge national outcry from major civil rights organizations including the HRC, Equality North Carolina, the National Center for Transgender Equality, Lambda Legal, the ACLU, Planned Parenthood, the American Federation of Teachers, the National Center for Lesbian Rights, Voto Latino, The Lawyers’ Committee for Civil Rights Under Law; corporations including IBM, Salesforce, Dow and Levi’s; and celebrities like Ellen Page, Jane Fonda, Janet Mock, Tegan and Sara, Montel Williams, Rob Reiner, Jason Collins, Martina Navratilova and Raymond Braun have all called out this rotten deal. A sampling of some of the other critiques issued over the past several hours can be accessed here. What spurred Governor Cooper to change his mind and support the legislation is unclear at this point, though one presumes the demands of business and sports interests like the NCAA were the driving force. Just last December, Cooper derided the idea of a six-month moratorium on local nondiscrimination ordinances as “doubling down on discrimination.” Today, the Governor signed off on a moratorium that will last 44 months. Cooper is expected to sign the legislation right away. 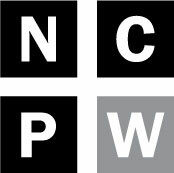 Check back with NC Policy Watch and The Progressive Pulse blog for regular updates.